Here you will find some frequently asked questions. These questions are grouped by topic. The mission of casa is to offer 'Education for Life'. What does that mean? Education for life means that children at Casa lay a foundation for life. In Casa, for example, it is not just about arithmetic and language skills - all the capacities to be a full citizen are being developed. Think of the ability to plan, to reflect, to adapt, to be able to function in a team, etc. Casa wants to offer a 'second home environment' where children, consciously and unconsciously, can develop into world citizens who face the challenges of life with confidence in themselves. They realise that they are responsible for their own actions and for their contribution to society. At Casa, children are happy and are given the opportunity to develop their full potential. More about this in the School Guide. You can contact the administration with any questions you may have about finances, teaching hours, Flexkids and MRX. An overview of the holidays taken and the balance of holidays can also be requested for children who take the total package. The administration can be reached via tel. 015 2010376 or via administratie@casaschool.nl. If you would like to discuss something with the management, you can contact Tessa on Wednesday or Friday between 8:00 and 9:00 and Karin on Tuesday or Thursday between 17:00 and 18:00. You can make an appointment for this by sending an e-mail to directie@casaschool.nl. Between 17:00 and 18:00, the child can be picked up in his or her classroom and, if desired, a transfer between parent and companion can take place. How do I get in touch with my child's teacher(s)? On Wednesdays and Fridays at 2 pm you are welcome to speak to the teacher at Casa. Can't wait until Wednesday or Friday to ask your question? The groups can be reached via the group name and then @casaschool.nl, for example: if you want to send an e-mail to the group Sun, please send this e-mail to sun@casaschool.nl. You can use Flexkids to send short messages about your child on the relevant day in the system. The advantage of this is that all escorts of that day are immediately informed! You can enter your message in Flexkids until 9 a.m. of the current day. At Casa Montessori all children are allowed to choose their drawings and what they want to do at school. We assume that all children are driven by their natural inner forces, and that they able to actively develop themselves with these inner forces. In this process adults and the children’s environment often have the tendency to be an obstacle during this natural learning process. That’s why Montessori Casa cherishes an environment where children are able to make their own free choices. Our environment is very detailed and specially developed to meet with the needs of the natural developing process of children. Our teachers are very well trained observers, and will adjust the boundaries if it’s necessary and order for the child to develop itself. How do you determine if a child is ready to learn a new skill or accomplish new knowledge? Children are able to indicate themselves weather he or she is ready for the next step. They know what this next step is, because the school environment is organized according a certain learning order. They also know it, because they observe other children working at different levels. We have our trained scholars who keep up their levels by observation, the teachers know when a child is ready for the next step. So it’s the teacher who determines weather the child is ready for a new skill, and the child itself plays also an active role in his/her own development. What do you do when a child knows how to do something, but doesn’t want to do it? A child will refuse to do something; because he doesn’t feel like doing it or it want’s to compete with the adult. An important element of developing their identity is the discovering their (children) own power, their ability and the boundaries they’re confronted with. As adults we try to avoid these conflicts regarding infighting between adults and children, and establish a more controlled environment. This way the child will be confronted with logical consequences that are natural. Casa strives to be the Montessori school the way Maria Montessori intended it to be. However, Maria Montessori is not among us any more to do more research or to adjust her method according the latest scientifically research and methods. But these methods do change and keep on developing. How does Casa Montessori deal with these changes? Maria Montessori did not only develop material and a method, which we [like] to work with, but she also described a pedagogy that gives us a lot of guidance. Within this pedagogic guidance we’re able to anchor modern developments within the Montessori method. From the development of a young child we know, for example, that the motor activity leads to the development will and intelligence. That's why we're not eager to let children work for many hours with iPads or computers, within todays developments. We rather prefer to see that young children work with materials, that are rich on sensory stimulus. Rewards and punishments do not fit the Montessori approach. Do you see (achieving) prices as a reward as well? Successful experiences are often experienced as a reward full 'price' for a child. We encourage adults rather to confirm what they see, instead of giving them a judgemental value. For example: when a child made a drawing, you can say that you ‘see’ what kind of colours the child used for his drawing, etc. By this way children learn how to appreciate their own work, and do not depend on someone else’s approval. More about the Montessori approach can found in the School guidance. Cosmic education is the approach to children in central and upper secondary education (6/12 years). Cosmopolitan education is education focused on how the world and human society function: the value of cooperation, the importance of nature for mankind and solidarity. Children want to discover and understand the cosmos, the big picture. The learning environment is the world around them. Nature education at Casa is therefore an essential part of cosmic education. Cosmopolitan education is all-encompassing; we see subjects such as history, geography, biology, language, arithmetic and geometry not as separate subjects but as a whole. The interrelationship and interdependence between disciplines are emphasized within cosmic education. We always work from the big picture to a detail in order to raise the child's awareness. The cosmic course has been worked out for each three-year cycle for the Central and Superstructures. The trips are linked to this as much as possible. You can read more about cosmic education in the School Guide. Are computers used on Casa? The Montessori material is the basis for learning new skills. Learning to work with computers is complementary to the material. A workplace has been created in each Lower Elementary group, with two laptops for children to work with. In addition, a few I-Pads are present per group. Just like the material, the I-Pads are in a fixed position. In the Upper Elementary, there are 4 laptops available in addition to the I-Pads. What about the Children's House? The computer is not used in the basement. The concrete experience is necessary for the young child. Children learn through all their senses and the computer is a hindrance. However, there is one exception, and that is the use of the computer as a word processor. Young children, whose motor skills are not yet well developed, are able to write texts faster on the computer than on paper. They have the capacity to form words and can therefore communicate much more by means of written language with the help of a computer. The use of the computer is not an alternative to developing the handwriting. It is therefore not seen by young children as an alternative, but as something that takes place in addition to learning to write. ICT also offers great opportunities in automation processes. If the child uses abstract arithmetic, computer programs can be enabled to support children in automation. For example, during the automation process of different calculation operations such as + /- to 20, and the multiplication tables 1 to 12. In addition to the various calculation games, children use computers to practice spelling and topography. More specific information on computer use can be found in the School Guide. Does Casa test the children and do they receive a grade for their work? If so, how does it work? And do the children receive a rapport? We work with a digital childtrackingsystem called MRX (Montessori Record Xpress). Within this system we register all the lessons, which were offered to the child, practiced, improved and mastered per child. Once a year we process these facts and data in a report, with comments from the teacher. This is followed by an interview with the parents, were we discuss this report. We also put on the Schoolvaardigheidstest (SVT), these are: reading, calculation and reading comprehension. We assume that the results of these tests confirm our observation regarding the child’s development. Follow these links for more information about MRX or to login directly. What is expected from me as a parent during an observation in the classroom? We’d like to offer everybody who is interested in our school, the possibility to observe the behaviour of the children during the Montessori working period. The Observation times are between 9:00 to 12:00 pm. You will receive a clipboard to take notes on. Please note that we do not wear shoes in the classrooms, that’s because the children also work on the floor. A the observing parent you sits down at an assigned place. 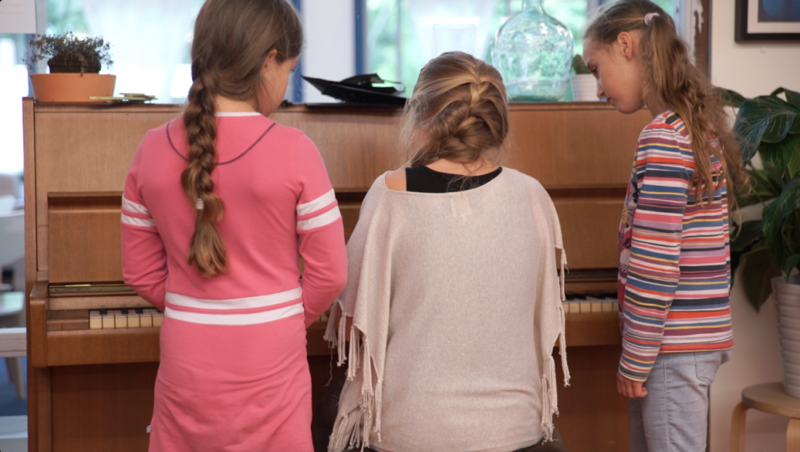 During the Montessori work period it is very important that your behaviour is unobtrusive, and that you do not talk with others and try to make eye contact with children or the teachers. We also ask you to ensure that the tone of your mobile phone is switched off. It’s useful to take notes about the behaviour of children and the working attitude. This should be done in a quiet way, so children feel that they can continue working without being disturbed. When children do approach you and start talking to you, then give them a brief answer, and try to avoid conversations. You can also tell the children to give you space for observing. It is possible to take a break during the observation in another room, where you can also drink and drink. We hope that you will get a good impression of your child during the observation at the Casa Montessori. About our working and learning methods and the lessons we offer during the working period. Your feedback, comments and suggestions on improvements are more than welcome. How does Casa provide adaptive education for children who need extra guidance? Casa is a member of the partnership PPO Delflanden. Please refer to this leaflet: Wat_is_passend_onderwijs_folder (only in Dutch) for information on how to provide a suitable teaching location. Detailed information about how Casa deals with this as a school can be found in the School Guide. Why does Casa school have such a flexible teaching hours? Casa School is participating with an experiment of the Ministries of Education, Cultures and Social Affairs. Within this experiment 12 schools are participating and will last until August 2014. Below you’ll find the (Dutch) report on the 2nd year of the experiment and an official note from the Second Chamber on this experiment. Is Casa following a bullying protocol? We think it is very important that children feel safe at school and feel seen. If you, as a parent, feel that this is not the case, discuss this with your child's supervisors. Casa has no bullying protocol. Attention to this theme is intertwined in the attention that is given at school to the social emotional development of the children. Montessori education is also called peace education. Because this form of education is so based on the involvement and well-being of children. There is a lot of cooperation in Central and Eastern Europe, which is extremely important at this age. Collaboration sometimes requires children to let go of their own ideas in order to be flexible and adaptable to others. Children learn from an early age within Montessori schools to take each other into account. Casa does a lot to prevent behavioural problems. You can read more about this in the School Guide. In the superstructure we work with the Kanjertraining. How to report my child sick? You can register your child as absent, due to illness, through the digital system FlexKids. You need to do this as earliest possible. If the system does not work, please do contact Casa to register your child as absent/ill. Parents say goodbye to their children at the school door, where a teacher awaits them and greets the children by shaking their hands. All children have their attendance recorded at the school door through the digital system Flex Kids. From there, if necessary, the child is guided to another teacher for assistance on the way to his or her classroom. During the morning parents do not enter the school, that’s because of the need for calmness and concentration at Casa Montessori. By doing this, we want to make the most of the teaching time we have at school, and use this in the most optimal way for the children. The children with the basic package are expected between 08.00 and 08.30 hours. The children with the total package (school and afterschool care) are expected between 08.00 and 09.00 hours. Are parents allowed into the school when they pick up their children? Children with a basic package are off from school at 14.00 hours. In Children's house, these children will be assisted by a teacher, from their class to the school door, and handed over to their parents. During good weather, parents can pick up their child at the school square. (Upper) elementary children, however, leave the school themselves at 14.00 hour. All children are being signed out with the digital system Flex Kids. The children with a total package, that stay all day, can be picked up from school between 17:00 and 18:00 hours. Casa is opened 50 weeks a year. Children wit the Basic Package are required to follow the school has designated meaning that they go to school five days a week, from 08.00 hours until 14.00 hours. All regional school holidays are obliged within this package, as well as other ‘days off’ designated by the school. For the children with the Total Package counts that it’s possible for parents to partly plan their children’s holiday’s and their day’s off. Parents can register their planning in the digital system Flexkids. In this system you can see how many Holliday hours your child still has for this year to spend. More information about holidays and days off is found through this link. When a child is absent or late without a reason, for example because a parent forgot to register a holiday, then the child is registered as ‘unauthorized absent’ and this will be reported to the school attendance officer. How are birthdays celebrated in the Children's House? In the Children's House we celebrate the development and growth of the child during his/her birthday. Beforehand we ask parents to supply us with a picture every year, so we literally celebrate growth in each year of life. We then sit in a circle on the floor, singing songs and show the pictures of the year. Then we share the birthday treats, and afterwards the class goes outside to play. You’re welcome to celebrate your child’s birthday from 11.00 till approximately 11.20 hours. We prefer a small and healthy snack as a treat, you can discuss this with one of the teachers. It’s also recommendable to check the amount of treats you need at Flexkids, or just ask one of the teachers. How are birthday’s celebrated in the (Upper) elementary? In the Lower Elementary children are allowed to give healthy treats. You can adjust the time with the supervisors. In the Upper Elementary, all children who celebrate their birthday in the same month jointly prepare one birthday lunch. In addition, children are allowed to bring a 'me-box' on their birthday: this contains about five objects that the children can use to tell something about themselves to the classroom. Of course there is also singing for the birthday child. Why do I have to pay for school and childcare during holiday periods? School fees and reception costs are spread evenly over 12 months. Therefore also during the holiday periods is collected. There are two Facebook pages: the public Facebook page of Casaschool and a private group of and by Casa parents. You can access the parent group by sending an email to casaparents@hotmail.com. The Elementary children cook their own lunch in their own classroom kitchen. The lower Elementary children are supervised by a cook. The upper Elementary children even do their planning and purchases. Casa has parent evenings several times a year. Usually it takes place per section. These evenings are announced on the website. The themes of these evenings can vary between Montessori related or organizational subjects.